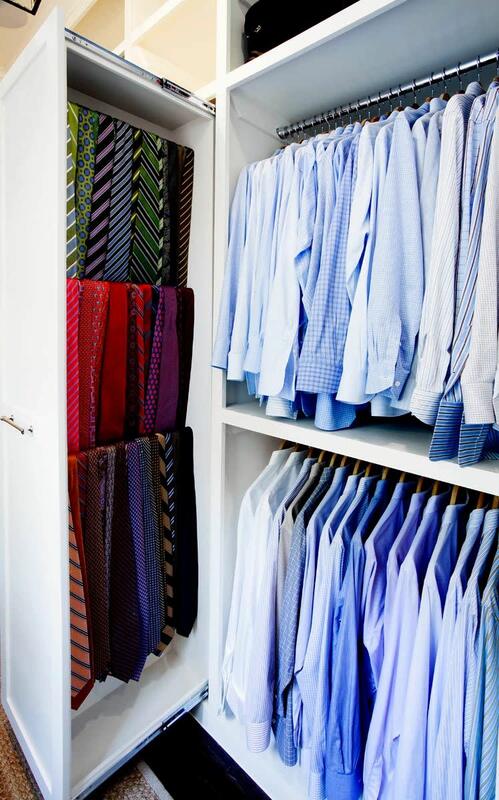 For this gentleman's closet we came up with the perfect solution to house the client’s 200-plus ties. 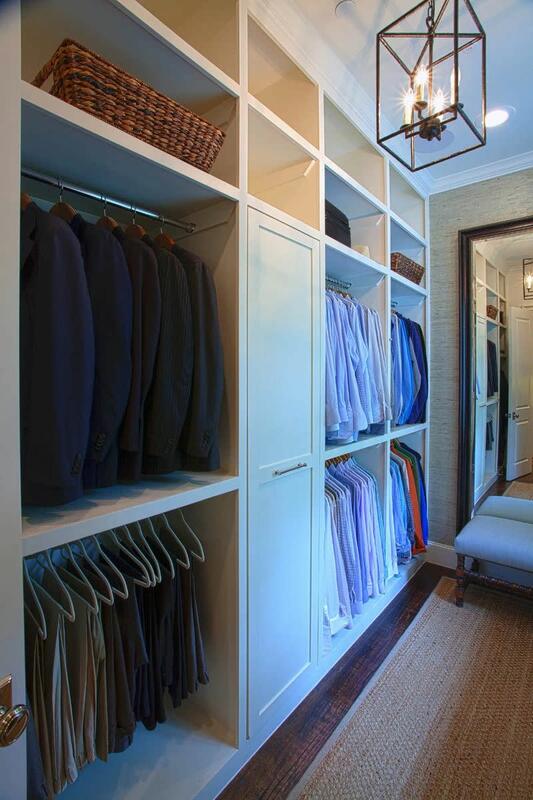 A two-sided custom built pull out rack was designed to display and store all the neckwear. 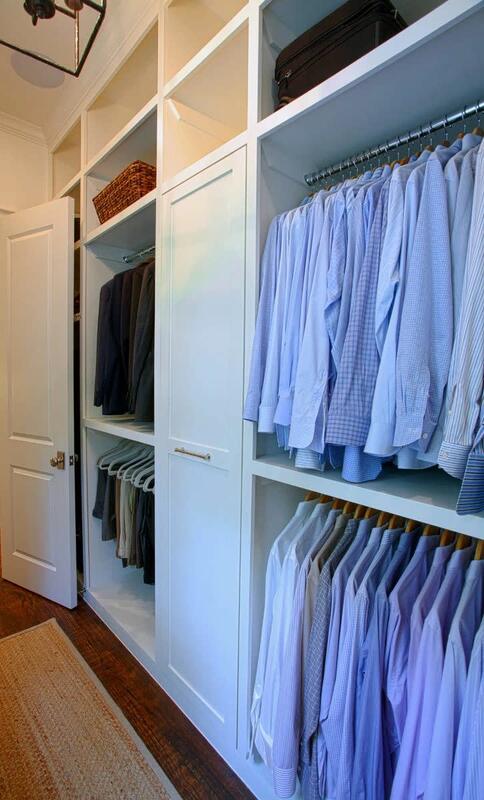 Organized by color, it makes it easier for my client to get dressed in the morning for work. A dresser, adjustable shoe shelving, full-length mirror and bench finish the space.